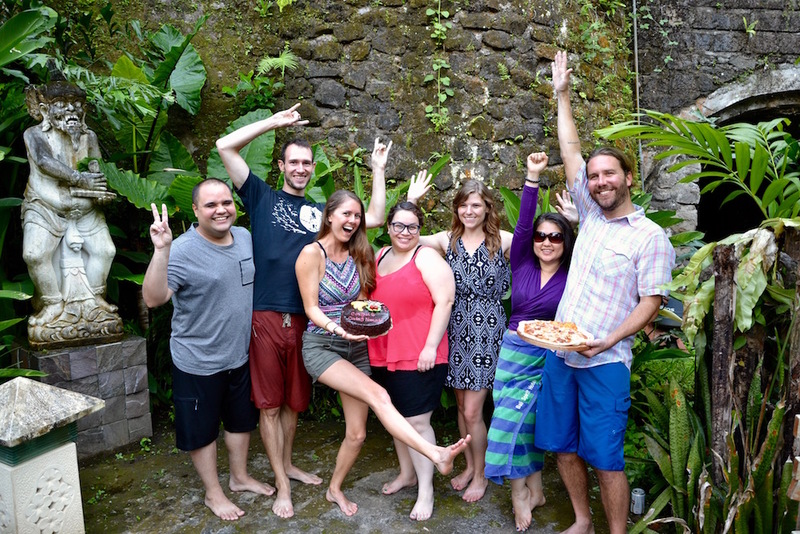 CodingNomads completes our first coding bootcamp in Bali. Here’s how it went (hint: awesome). 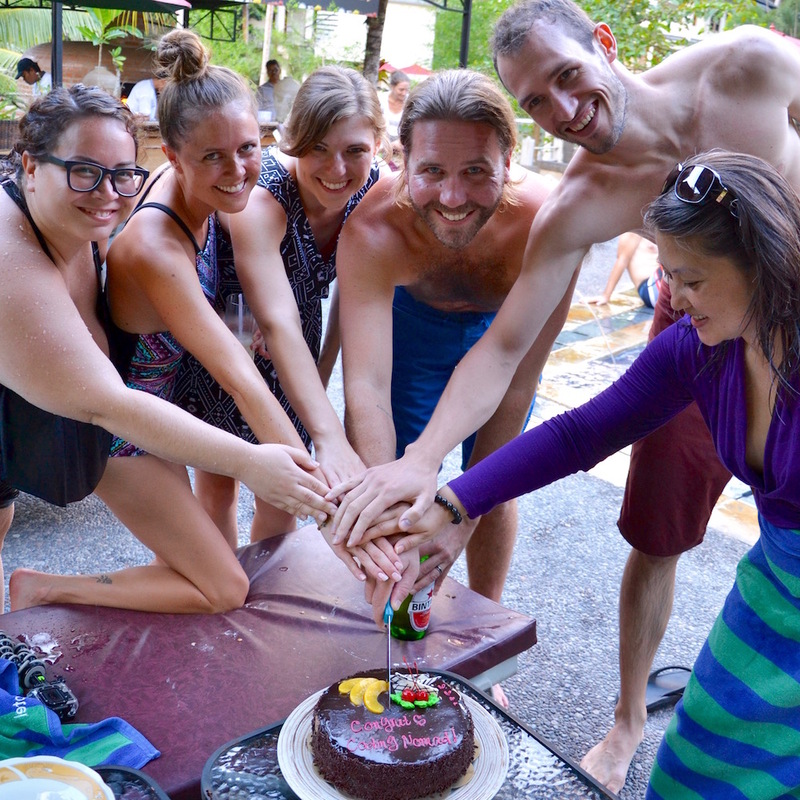 We, as individuals, as a team, as CodingNomads, traveled across the world for a software engineering coding bootcamp in Bali. Coming from all around the US and Puerto Rico, our group met for the first time over a bucket of Bintang beers in a jungle bar. After 24+ travel hours and a 12+ hour time change, we were a dazed mix of excitement and nerves for the intensive bootcamp and trip ahead. Yet despite the circumstances we knew we were in this together, and we felt immediately familiar with this new group of friends. From all different walks of life and all new to coding (except our instructor Ryan! :), our group arrived in Bali with similar goals. Everyone here was ready for something new, something different, something potentially life-changing. Our students came to learn valuable tech skills efficiently and fast, gaining the mentorship and momentum needed to jumpstart their engineering careers. Ryan and I, the CodingNomads cofounders, came to fulfill our vision of helping people achieve career and lifestyle goals while experiencing the world. All of us came with the curiosity and courage to travel to exciting new locations with a group of new friends. Some of our students were seasoned travelers, while some had never left the US — much less lived in another country. Together, we ended up on an adventure. Throughout the course, the inaugural cohort of CodingNomads students transformed from coding beginners into a fully functioning software engineering team. 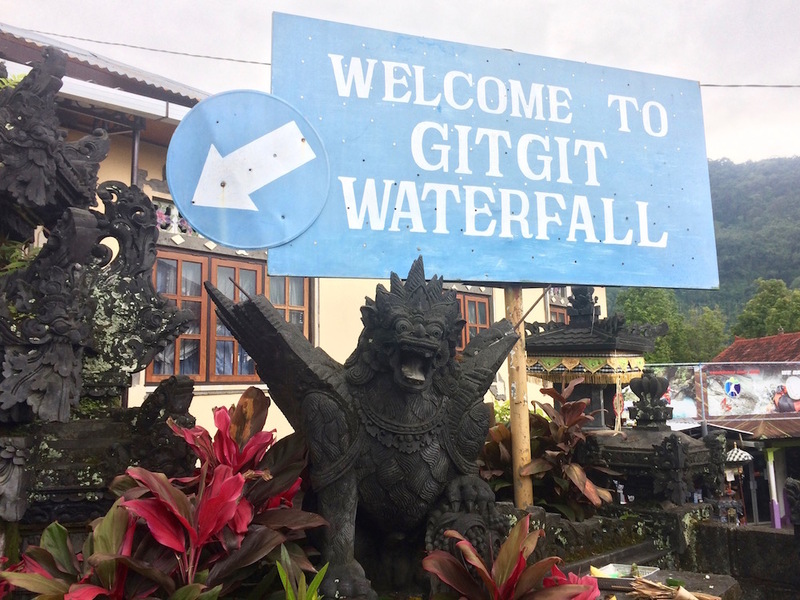 The technical knowledge flowed faster than the “GitGit” waterfall we visited while there — seriously. And the course material was only a part of the experience. 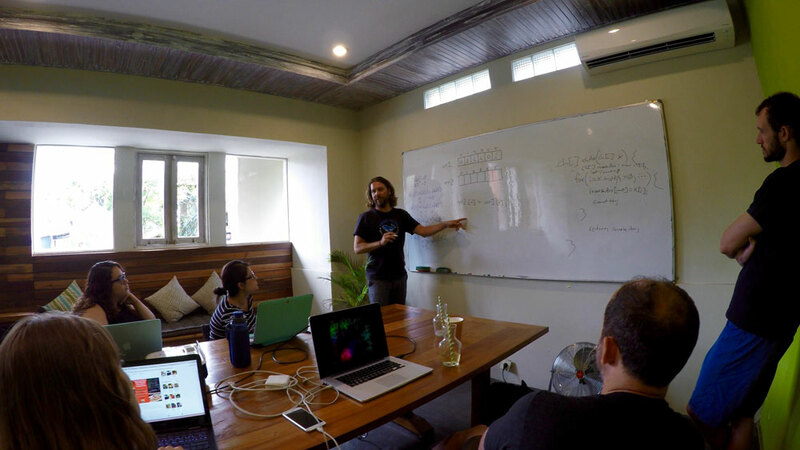 Below are some highlights from CodingNomads’ first coding bootcamp in Bali, and be sure to check out the video at the end! 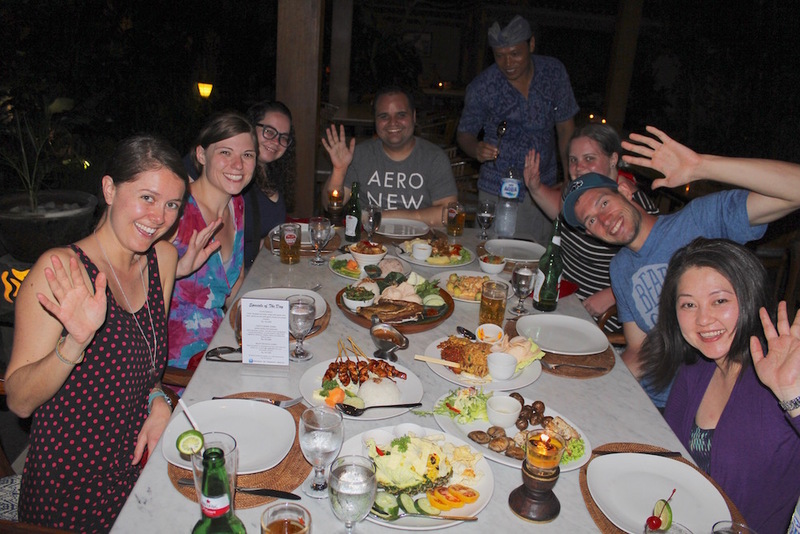 Our Java + SQL + AWS coding bootcamp consisted of 8 weeks in Bali, followed by 4 weeks of project work online. The course started at square one and advanced quickly, with new material and exercises every day. Within 8 weeks our students went from “Hello World” to deploying RESTful APIs with the Spring framework connected to AWS RDS databases, and on AWS EC2 instances in the cloud. For you developers out there, you know what we’re talking about. Our cohort’s progress over the short period of time was impressive. You can read our preliminary student reviews on SwitchUp and Course Report. “Superior to any other learning experience I have ever had.” — CodingNomads student review (see more reviews). The goal of CodingNomads bootcamp is to prepare students for the day-to-day job of being a software engineer. The tasks of an engineer go well beyond writing code in a single programming language. With this in mind, we dove into data management, security, shell scripting, deployment, scalability, collaboration tools (Git and Jira), Android development and more, giving our students a plethora of skills in demand worldwide. Software engineers are problem solvers, and always learning. We aim to instill this engineering mentality in our students through every step of the way. We teach our students how to define and solve the engineering tasks at hand in order to be productive team members. “Ryan is a real life software engineer with lots of experience, not an intern, not recently graduated. He knows his stuff, and he’s there with you every day.” — CodingNomads student review (see more reviews). After learning the fundamentals in Bali, our course continued for 4 weeks online to create a portfolio project: a travel planning application. Fitting, right? Similar to Orbitz, our team’s app pulls flights, car rentals and hotel data from 3rd party APIs. The app also has a “discovery” option, which incorporates user preferences such as destination region, budget, length of trip, etc. Using these preferences, the app scours the internet for the best deals and highest rated attractions, and returns the top 5 recommended trips. Beyond the functionality, this API is fully secured using OAUTH2. It leverages the Spring Framework. It uses Mybatis for object mapping to and from our AWS RDS database. All applicable API calls are cache-enabled for lightning fast responses. It is deployed via Tomcat on fully secured, load-balanced, AWS EC2 instances in a virtual private cloud. All of this was designed and developed by our cohort, with our instructor acting as the project manager. The team collaborated using Jira, as well as daily phone calls with our instructor, and weekly team scrum sessions. The final project demonstrates our students’ real-world skills, knowledge, and preparedness for a professional software engineering job. We are truly proud and impressed at what our cohort has created, and how they work together as a distributed digital nomad team! “Ryan, the instructor has a lot of experience in software engineering and really loves to teach, so you can be sure that you will learn even when things get really difficult…” — CodingNomads student review (see more reviews). In effort to broaden our students’ perspective and help boost their professional networks, we invited two guest speakers to join our class. Our first speaker was David Ladanyi, a senior software engineer for solar financing firm Mosaic. With nearly two decades of experience specializing in Java, David’s insight was priceless for our Java bootcamp cohort. We spoke with David about daily life as a software engineer, common mistakes made by entry-level engineers, the technical interview process, and practical steps on how to find a job after a coding bootcamp. Stay tuned for our upcoming blog with these tips! We were also joined in class by Rob Joseph, an experienced Android developer. Android is Java based, enabling our students to quickly draw the connections between Java learned in class, and Android development. Android is the most widely used mobile operating system on earth, and added a valuable element to our Java bootcamp. 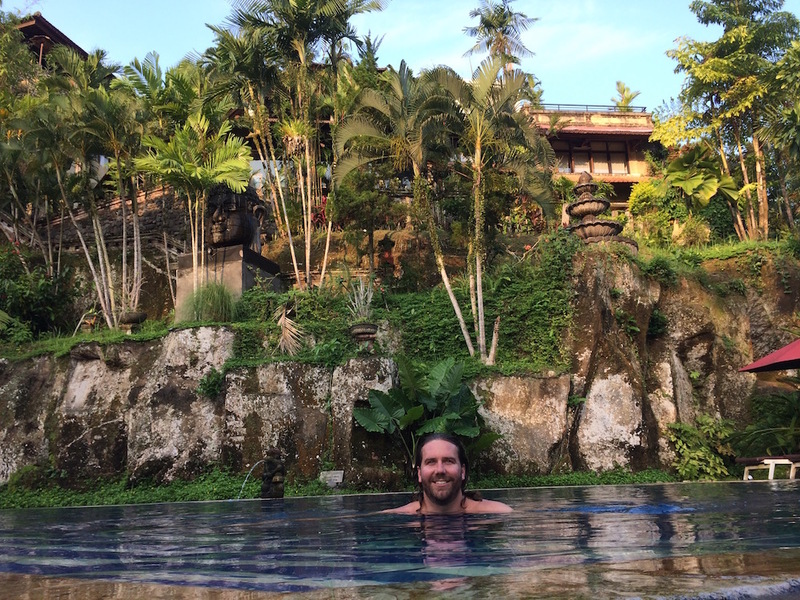 Additionally, Rob is a successful digital nomad. He works for various companies remotely as he travels the world. Learning about how Rob got started and where he is today was very inspiring for our aspiring digital nomad crew. Huge thanks to Rob and David for offering your valuable insight and skills to our team! Our job at CodingNomads is not done until our students have obtained their desired career goals. To help students prepare to find a job after the bootcamp, we conducted mock interviews with whiteboarding sessions and technical interview questions. Our support also extends well beyond the course. We provide ongoing mentorship to help review resumes, prepare for interviews, negotiate salaries, provide student references, and everything in between. Some of our students are already picking up contract work and interviewing for jobs, while others continue to travel and / or continue working on their portfolio engineering projects. We learned that everyone attended the bootcamp with slightly different career goals, so we aim to be attentive and supportive to each student’s unique path. “Ryan is a fantastic teacher, and his wife, Kim, is a great resource and an inspiring business woman. I am so lucky to have spent so much time with them!” — CodingNomads student review (see more reviews). 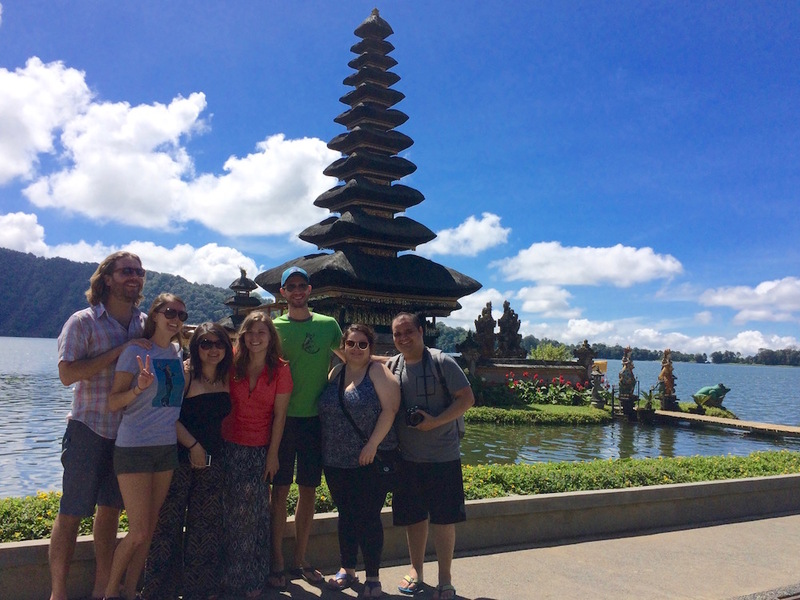 Our students worked hard in class, but on the weekends we thoroughly enjoyed taking day trips around Bali. 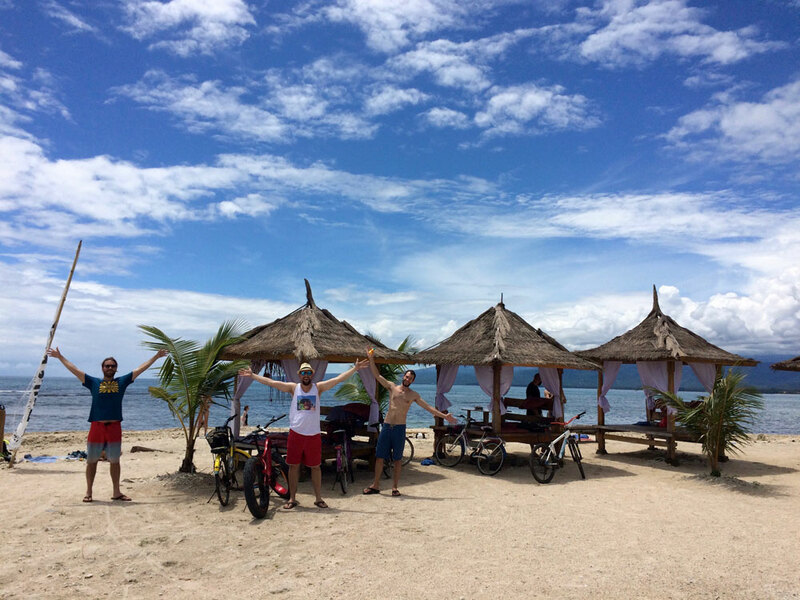 We visited Lovina Beach up north, Sanur and Seminyak beaches down south. We swam in natural spring pools. We visited temples on lakes, in cliffs and even underwater. We got drenched in the immense downpour at the GitGit waterfall. We bartered for souvenirs and sarongs. We held on to our stomachs through winding car rides. Impossible for us to do it all, we can’t wait to visit Bali again! Ubud, Bali is nestled amidst the jungle and rice paddies, and perhaps one of the most peaceful and beautiful places we’ve ever been. 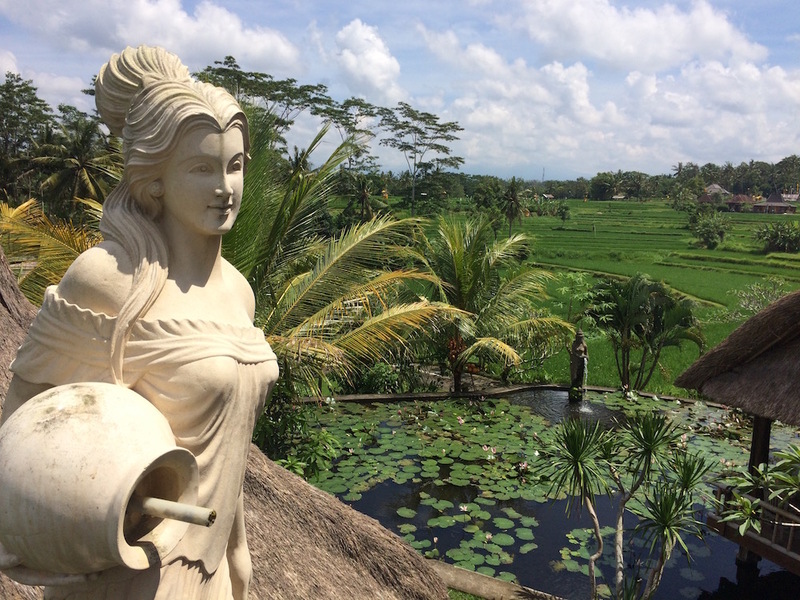 The cultural heart of Bali, Ubud is adorned with Hindu temples, ornate stone architecture and statues. Intricate Hindu offerings of flowers, food and incense decorated the streets. Ubud was the perfect town for our coding bootcamp in Bali — small enough to see new friends in the street, big enough to offer the amenities we needed for a fun, productive visit. Ubud breathed life. Almost weekly the streets were filled with music, parades and celebrations. When we weren’t in class, together we joined the celebrations, connected with nature in the Monkey Forest, scoped the best happy hours, ate “mie goreng,” drank Bintang, danced with our shoes off, and experienced the Balinese new year “Nyepi” — a day of complete silence across the island. 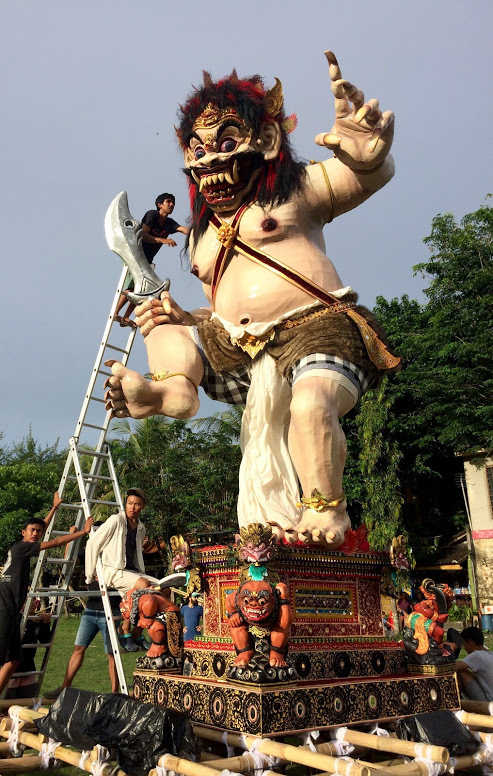 Traditional Balinese “Ogoh Ogoh” statue in celebration of New Year’s Eve. 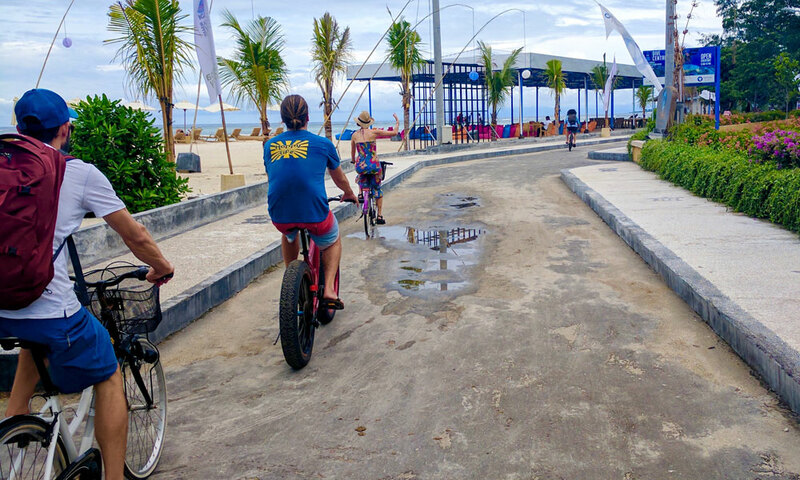 Our weekend trip to the Gili Islands started with a 6 a.m. van gathering our crew, a “where’s Celie?” or two, a wet ‘n wild boat ride, and arriving to a rainy downpour in the isle of Gili Air. But nothing could dampen our spirits! Together we made the best of the covered beach restaurants and puddles. Then the clouds seemed to part just for us, lending the weekend to island exploration on bikes, snorkeling, singing with Indonesian hair bands, sipping tropical cocktails (Rinjani Fantasy! ), giant Jenga, giant water swings, and silly sunset shenanigans. See our Facebook album with more Gili Air photos. On our final weekend excursion as a team, we traveled together like pros. Arriving by boat to Nusa Lembongan, we were greeted by some of the bluest water we’ve ever seen, and taxi wagons that fit our whole crew. Here we enjoyed the explosive cliff-side waves at Devil’s Tear, late night card games and ojek adventures, riding scooters around the connected islands, incredible snorkeling, and scuba diving with manta rays. 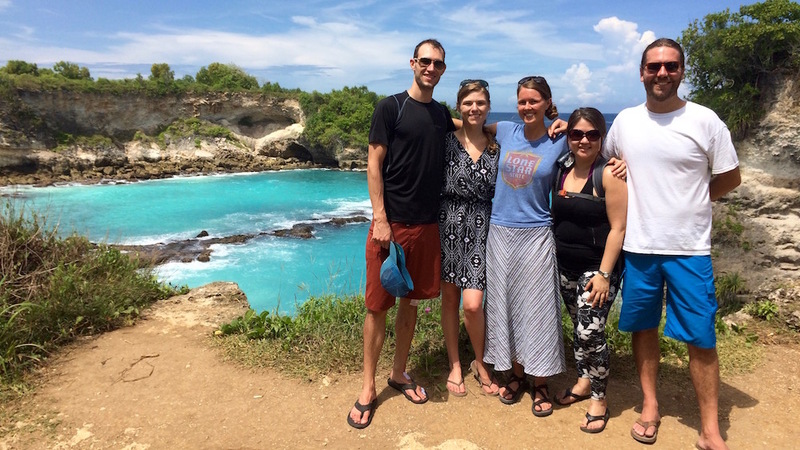 The Nusa island chain was a wonderful way to end our trip! 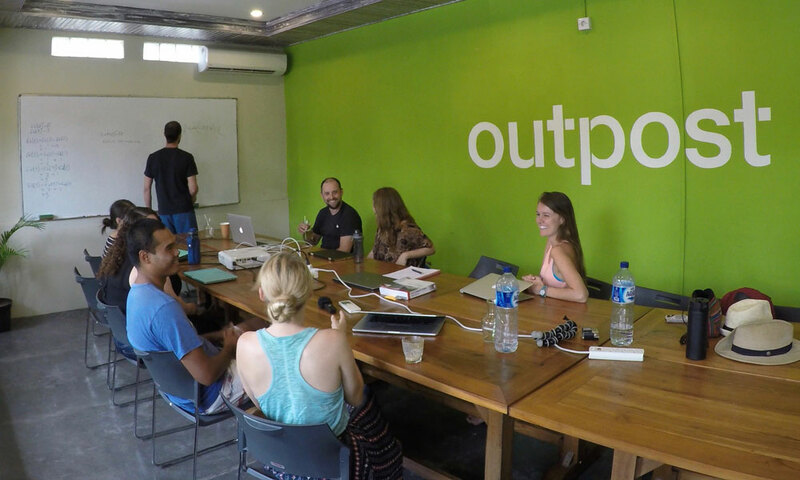 Hosting our first coding bootcamp at Outpost was one of the best decisions we could have made. 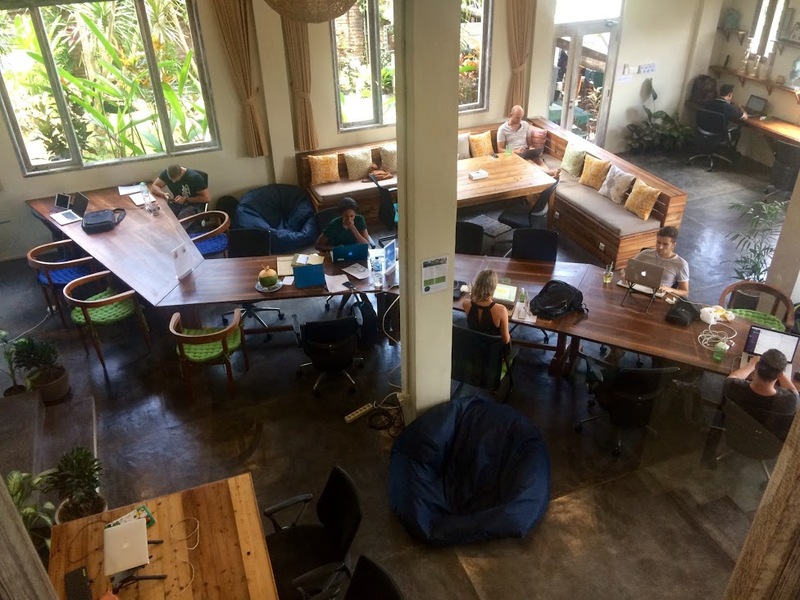 Bright and airy with tall ceilings, cool A/C, and outdoor patios overlooking the jungle, Outpost is a coworking paradise. There were fun and informative events to attend every week, and staff who all became our friends. Outpost members get access to the Bali Spirit Hotel pool and swim-up bar next door, which became the defacto location of our Friday happy hours. Everything about our experience at Outpost was perfect, and can’t wait to return for a CodingNomads 2018 coding bootcamp in Bali! Beyond the course and trip, the bond formed between the CodingNomads cohort and administrators was inspiring. With all our planning and preparation, this is something we could not plan, but just happened naturally and beautifully. International travel can be challenging and lonely, and it can be scary to step outside of your comfort zone. Our students supported each other through it all — coming together for frequent “family dinners;” laughing together about the gecko that gave a scare while scurrying across the bathroom; consoling each other about the roosters waking everyone before up dawn; recounting hilarious local interactions lost in translation; and making light of all the other challenges and quirks of living abroad. This being CodingNomads’ first coding bootcamp, our students took a leap in traveling to Bali and learning to code with us. By the end of the course, our cohort transformed into seasoned digital nomads, professional-grade software engineers, and lifelong friends. We were deeply touched by the sincere affection everyone showed when we all said goodbye. There is something bittersweet about traveling, making deep connections, and then having to say “goodbye” and continue on your way. Luckily now that everyone has the travel bug, we are already brainstorming a future CodingNomads alumni retreat for all CodingNomads students to meet, network and travel together. That’s the exciting part about becoming a digital nomad — instead of “goodbye” you can say “see you later” — and really mean it. We are so proud of our Bali 2017 coding bootcamp cohort, and wish everyone the best of success in your software engineering careers! “If you are looking for an amazing affordable bootcamp to learn to code, you should do this one with CodingNomads.” — CodingNomads student review (see more reviews). Our next stop is our Thailand coding bootcamp June 2017! If you’re interested in learning to code, this is a fun and effective way to do it. Please visit our Thailand coding bootcamp page and get in touch with any questions. Also check out this video for more fun clips from Bali, and what to expect in Thailand! 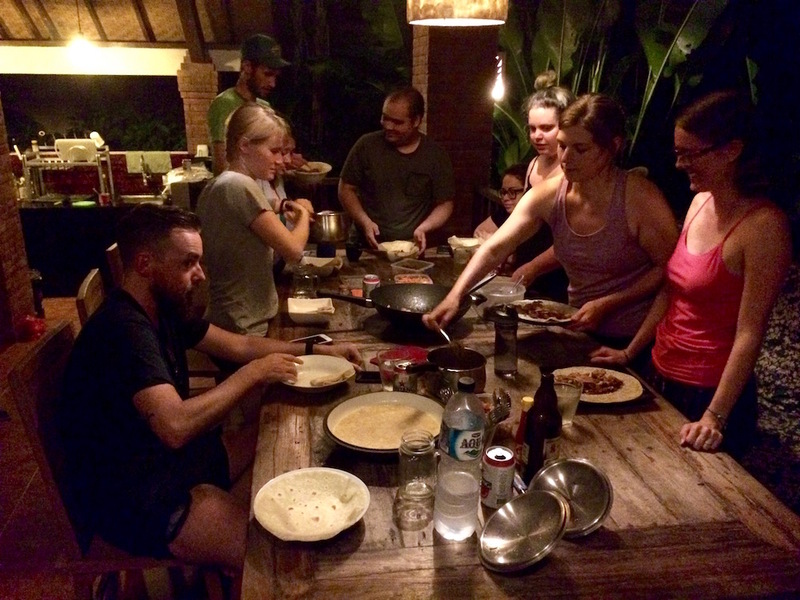 Comment On CodingNomads completes our first coding bootcamp in Bali. Here’s how it went (hint: awesome).